The Little Scarlet Dress is perfect for the holidays. Fall means fun fashions at the Posh Puppy Boutique. 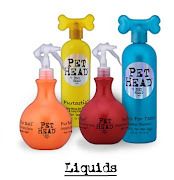 Just take a gander at some of our most recent arrivals that are perfect for your pooch and you will agree. Our Little Scarlet Dress from designer Toni Mari ($75) is made with red and white satin with a tulle underlay and full satin lining. It features a button chest and a satin bow with round rhinestone buckle. It also comes with an attached “D” ring for attaching a leash. Available sizes are extra small and small only. The Santa Claus Harness is soft and warm. Pinkaholic just released this red Santa Claus Harness ($36), which is a combination of harness and dress in one. It features crossed candy canes on the back. Size range from small to large. Holiday fashion meets practicality and comfort, especially for large dogs, in this Santa’s Coat ($55) in bright red and trimmed in white. Made with warm polar fleece, it includes an attached hood to keep your little one’s head nice and warm. Available sizes range from small to 5 extra large for the biggest boys and girls. Also new from Pinkaholic is this festive pink hoodie ($44) featuring a holiday symbol applique and pom-pom ball on the hood. Sizes range from extra small to double extra large. People either are or want to be in a New York state of mind will want to look closely at this new 5th Avenue Sweater ($30) featuring a retro black and white design with gold buttons. Made with 100 percent acrylic, they are machine washable. Several sizes are available. The Barron Winter Coat comes in two colors. Our Barron Winter Coat from Puppia comes in Navy ($95) and Wine ($95). Worn like a vest, these winter jackets have a faux fur lining and are decorated with a belt at the waist. Sizes range from small to double extra large. Girl dogs will look absolutely fabulous in our Big Bow Fur Coat ($110). This jet black coat trimmed with fluffy Tissavel comes with an ultrasuede big bow with a Swarovski crystal. It is only available in extra small, small and medium sizes. A match 4-foot leash is $55. Another new winter coat is our Dogberry Coat in Black or Beige ($104 each) from Puppia. Featuring a checkered pattern, it has a toggle closure decoration, faux fur trimmed hood and a pre-made leash hole. Sizes range from small to extra large. Your perfectly costumed pooch could win you a $250 Posh Puppy Boutique Gift Certificate, but only if you enter our Howl-O-Ween Costume Contest. You’d better hurry: it’s almost over. Entering is easy. Simply go to our Facebook Page or click here, add your email address and upload a digital photo of your costumed pet plus a caption. Your final step is casting a vote The pet with the most votes wins. Keep your dog cozy at night with new pajamas. Like a ton of snow starting to slide off a roof before slamming to the ground, winter’s cold days are almost here. Keep your precious pooch warm on those cold winter nights by dressing them in comfortable and stylish pajamas from the Posh Puppy Boutique. These Penguin & Snowflake Pajamas ($33) come in turquoise and red. Made with lightweight flannel they are soft and comfortable. Sizes range from extra-small to extra large. These snowflake PJs come in red and green. Designer Hip Doggie makes these Snowflake Long John Pajamas ($25) in red and green. Made with stretch fleece and embroidered snowflakes, they have Velcro ® closures. Sizes range from double extra small to big dog extra large. For an ultra-feminine look, consider our Winterland Cubs Ruffled Pajama ($45) in aqua and lilac from designer Toni Mari. These stylish and girlish PJs have ruffles and several pink bows. Sizes range from extra small to double extra large. Toni Mari and company also makes several versions of its Sweet Teddy Fleece Classic Pajama ($38). Sizes range from extra small to double extra large. The fleece material keeps your dog’s core warm while raglan sleeves protect their legs. Go for the warmth and get style thrown in, too with our Skull and Crossbones Fleece Turtleneck Pajamas ($33). The extended collar can be worn as a turtleneck or folded down for comfort while extended sleeves keep your dog’s legs toasty warm. They have a functional pocket and a “D” ring for when your pup has got to go, right now. Sizes range from extra small to extra large. These longjohns are made only for large breeds. Large breed owners, we have pajamas made just for your large lump of love: our Large Breed Longjohns ($52). Made with arctic fleece, hey have sweatshirt ribbing around the feet and neck for added warmth and comfort. They come in your choice of 13 colors and sizes from extra large to triple extra large and giant only. Different cuts are available for boys and girls. Your perfectly costumed pooch could win you a $250 Posh Puppy Boutique Gift Certificate, but only if you enter our Howl-O-Ween Costume Contest. Also note that 10 percent of all breast cancer featured items sales will be donated to the Susan G. Komen Breast Cancer Foundation. With more than 10,000 pet clothing and accessory products, the Posh Puppy Boutique has what you are looking for … and a ton of stuff you never knew existed. Let your mouse do some exploring and enter the wide, wonderful world awaiting you at our online store and retail location in Rocklin, California. This sweater is one of our featured Breast Cancer products. One of our newest items is this Rugby Stripe Sweater in Pink ($35). Made just for girl dogs, it has three knitted flowers on the lower right side. Six size choices are available. Another perfectly pink product whose sales also aid breast cancer research is this Pale Pink Pullover Knit Sweater Dress ($58). Available in sizes from double extra small to large, it has ruffles at the neck and back. This sweater takes time to get since each one is made to order. Note that a button hole can be made to let you connect a leash to a collar or harness. A very popular item, which is perfect for any formal occasion, is our Breast Cancer Hot Pink Ribbon Halter Dress ($40). Available in size small only, it features a pink dot pattern over white with the Komen ribbon logo sprinkled throughout. Highlighting the dress is the word “Love” near the collar and a large pink bow at the waist. One of our newest items—click here to see the latest additions to our extensive selection of pet clothing, accessories and toys—is our Halloween Hide-a-Pumpkin Toy ($25). This soft puzzle is a jack-o-lantern plus puzzle and three pieces, each with a squeaker, that your dog gets to pull out. A similar Hide-A-Haunted House Toy ($28) is also available. These overalls are soft, warm and feminine. Another great fall item is the Where is My Bear Overalls ($80) from designer Puppy Angel. These pink overalls are made with soft woolly fleece and have padded polar fleece inside. A bear applique and pom-pom are stitched on the back. A hood can be placed over your dog’s head or tied to the back with a button. This outfit also has roll-up legs to keep your little girl warm on cold fall and winter nights. This Candy Corn Harness is a perfect topper for Halloween. With Halloween little more than a week away, now is the perfect time to top off your pet’s outfit with an added accessory or two from the Posh Puppy Boutique. One great way is with a Halloween themed harness such as this Candy Corn version ($81) that comes in three weight-related sizes. As with many of our products, pet owners will also need to take chest, length and neck measurements so you get a fit that isn’t too tight or too loose, but one that hugs your dog like a glove. Our Little Witch Harness Vest ($210) is made in the tradition of the La Maison Vienna Couture Canine with a hand-crocheted witch sewn onto a velvet starry night with a moon and star made of Swarovski crystal elements. Sizes range from extra small to large. Similar vests are available in the Jack-O-Lantern ($210) and Skull (with a pink bow on the skull) $210 designs. The Crossbones harness glows in the dark for added safety. Consider a harness that works year-round, and can be placed over your pet’s outfit: our Glow Crossbone harness ($25). The design glows in the dark giving your pet added visibility on late afternoon and nighttime walks. Sizes range from extra small to large. A matching leash is available for $14. Our Itsy Bitsy Spider Collar ($20) and matching leash ($20 for the 4-foot version, $25 for the 6-foot) is a great addition to your pet’s Halloween costume. Collars are available in medium and large sizes. Many dogs are already set with their costumes, collars and leashes. But their outfit still lacks something. The question is what? Take a look at our wide selection of Halloween-themed accessories such as hair bows and hats. This Wicked hairbow ($7) in the style of a witch’s hat. It measures 5/8 inches long and is stiffened for extended wear. Our bright orange pumpkin barrette on a black bow ($12) is 1.25 inches in diameter. It is fun, flirty and Made in the USA. Keep your dog’s head warm on a cool fall evening with our soft knit Ghost Hat beanie ($35). It has openings for your dog’s ears and securely ties under your dog’s chin. It comes in small and medium sizes. Similar hats in Pumpkin ($35) and Candy Corn ($35) designs are also available. Remember, too, that October is Breast Cancer Awareness Month. Click here to see all of the Posh Puppy Boutique’s Breast Cancer Awareness pet products. We donate 10% to the Susan G. Komen Breast Cancer Foundation. Our Roundabout Tote comes in several fashionable colors. What’s an easy, convenient and stylish way to take your small dog with you to Halloween and holiday parties? Why with a pet purse from the Posh Puppy Boutique of course. Our Black Croco Bond Girl Smuggler Carrier Bag ($380) is made with faux leather because, “we won’t kill a cow to save a Chihuahua.” Able to hold dogs weighing up to 16 pounds, the center compartment has a “floor to ceiling” snap out, washable liner covering a leopard cushion. This carrier has dual entrances and dual leash clips for two smaller pets plus a mesh ventilation window covering the top and sides of the center compartment. A slightly smaller version, the Chocolate Croco Bond Girl Smuggler Carrier Bag ($350) holds dogs up 6 pounds. Both feature two separate side compartments with magnetic closures for your money, makeup, treats and weapons (sic) organized and separate from your precious fur baby. Four large signature silver JCLA pawed feet adorn the bottoms. Smaller pets can travel in the lap of luxury with our Couture Black Zebra Faux Mink Fur Pet Carrier ($200). Lined with pink minky fur inside, a small matching purse is also included. Our Take Me Too pet carrier ($120) from designer Puppy Angel is made with light-weight nylon that is water and stain resistant. It includes a wide shoulder strap to carry the load and a second strap that can go around your waist for stability. It also has a large front pocket for your dog leads, car keys, purse and phone. The Bark For The Cure Puppy Purse. This Bark for the Cure Puppy Purse carrier ($95) has a fleece bodice with a pink ribbon pattern and white poly trim plus adjustable cotton blend linked straps for safety and security. The carrier lets you literally sling your pooch over your shoulder and carry them like you would a purse. Sizes range from small to double extra-large. Take a look at our Roundabout Tote, available in Tan, red and black ($105 each) is all about your pet’s comfort. The totes feature a soft cuddle mat, sparkle bear key chain, a safety chain, animal print scarf and a small shuttle purse. They are designed for dogs in the 2-16 pound range. If you are planning to be near Sacramento, Calif. on Dec. 5, consider supporting the Sacramento SPCA’s Purrses for Pets event at the Arden Hills Resort Club and Spa. The event features an assortment of purses, bags, jewelry and accessories in a wide price range. Donations of gently uses purses are also being accepted. Call the Sacramento SPCA at (916) 504-2802 or (916) 504-2868 to learn more. Your pooch can be a star in their own right as they accompany you and your children trick-or-treating and to Halloween-themed event. 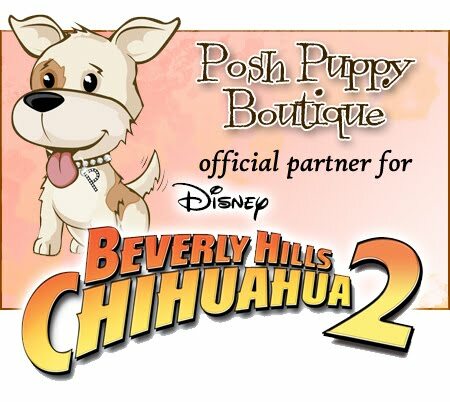 Here at the Posh Puppy Boutique, we sell many movie-themed costumes designed just for dogs. This Minion from Despicable Me 2 ($25) is among our newest arrivals. Available in sizes from small to extra-large, it includes a blue and yellow jumpsuit and goggled headpiece. This Queen of Puppies costume ($25) is available in size small only. It features a collared dress with marabou trim. With apologies to Harrison Ford, the Indiana Bones Costume ($45) will make your dog look like a real explorer. Seven sizes are available. Make with 100 percent cotton, it comes complete with a jacket and attached shirt and pants. Be ready for both Halloween and Thanksgiving with these matching Pilgrim Girl ($45) and Pilgrim Boy costumes. Available in seven sizes, the 100 percent cotton outfits feature the traditional buckled black and white designs using snap fasteners down the front to hold them in place. Your dog can show his or her support for the Army by wearing our Army Jumper costume, which comes in six sizes to fit most dogs. It features authentic details, including three usable cargo pockets and a functioning utility belt, making it great for a wide range of outdoor activities, too. Your pet can go out dressed as your favorite Star Wars character such as Darth Vader ($25), which is appearing in a recent television commercial. Our Darth Vader costume comes in sizes from small to extra large and features a jet black cape and matching helmet. Check out our broad selection of super hero costumes designed just for dogs, like this Superman one ($25), which features a costume with attached arms. It is available in sizes from small to extra large. Remember, too, that October is Breast Cancer Awareness Month. Click here to see all of our Breast Cancer Awareness pet products. We donate 10% to the Susan G. Komen Breast Cancer Foundation. The iguana costume is made with five fabrics. Are you looking to dress your pet as something out of the ordinary this Halloween? If so, consider one of the more unique costumes available at the Posh Puppy Boutique. For example, our Iguana Costume ($75) combines five very different fabrics to make realistic and comfortable pet costume that will have people climbing the walls. Seven sizes are available. Female dogs, especially therapy pups, will look stunning in our White Nurse Dress Costume ($75) that includes a hat. It has an extra full gathered skirt and bodice made with a white cotton blend. It is accented with red ribbon trim and a red cross, a multi-layered red tulle petticoat and lots of other enhancements. Sizes range from triple extra small to medium. Bigger boy dogs can accompany their nurses wearing our Vet Dr. Barker Costume ($25), which comes in sizes from small to extra large. It features a white lab coat and mock collar. If your dog has a nose for sniffing out clues, dress him in our Sherlock Hound Costume ($64). Featuring a 100 percent brushed cotton plaid and corduroy trench coat jacket, trimmed in satin, it comes with the distinctive matching double-brimmed deerstalker detective cap and capped coat. Seven sizes are available. If your little guy is a real charmer, show the world he is truly a prince by outfitting him in our Prince Charming Costume ($67). It has thick blue velveteen cotton fabric with golden satin fabric, which makes for a royal combination. The sleeves are over puffy in contrasting colors with detail work shows off the great craftsmanship. A matching gold crown with jewels is included. Seven sizes are available. Let your little girl show her regal bearing by dressing up as the Queen of Hearts ($42). Available in medium and large sizes only, it has a red and black lace trimmed tiered dress, bright red bow on the back and an adjustable crown headpiece. I'll catch you yet, roadrunner! “Beep, beep,” that roadrunner better make way for your Rocket Space Dog ($62). This costume has a metallic silver fabric filled with intricate stitching and detail combined with a fused red rocket direct from Acme. Seven sizes are available. These are just a tiny sampling of our many unique and classy couture dog costumes available now at the Posh Puppy Boutique. Which Witch Costume Do You Like? Our Scarecrow Witch costume is one of several witch outfits available. Which witch will your little dog dress up as for Halloween? Or will he go as a ghost? Find these and hundreds of other Halloween costumes designed just for pets at the Posh Puppy Boutique’s Costume Store. Our new Scarecrow Witch Dog Costume ($50) includes a fringe-trimmed tiered dress with attached petticoat and a slip-on witch hat. This costume is available in small, medium and large sizes. The Posh Puppy does not sell just one witch costume, though: we have many to pick from. Take a look at our Purple Witch costume ($25), “witch” is available in medium and extra-large sizes only. This bright purple costume is accented by a white ribbon bow on the back and includes a matching witches hat. The Orange Witch costume ($25), comes in sizes from small to extra-large. It also includes a matching hat. This costume, like many of those we sell, is machine washable. Your little sweetie can look like a popular Halloween confection by dressing her up in this yellow, orange, black and white Candy Corn Witch Costume ($25). A matching hat is included. Dress your little boy dog up as a safety-conscious ghost with our Halloween Glow-in-the-Dark Ghost Tee ($20) in sizes from double extra-small to extra large. The dark grey shirt is made with a cotton and polyester blend and cut with a stay-dry belly. It is covered with glow in the dark white ghosts. This ghost costume appears to float when seen at night. Our Ghost Costume ($44) is made with three layers of satin, making it look like they are flowing in the air when viewed at night. A pair of black buggy eyes sits back behind your dog’s ears, allowing the costume to move freely while not bothering your dog. Seven sizes are available. You might also consider rewarding your dog with a new ghastly ghost toy ($26) for being a good dog on Halloween. This toy is soft and strong made with two internal layers bonded to the fabric so your dog can have fun without tearing it to shreds. Your dog can bark for a cure, a cure for breast cancer. The Posh Puppy Boutique, which was founded and is owned by Jennifer Kirk, is donating 10 percent of all breast cancer features items sales to the Susan G. Komen Breast Cancer Foundation during the month of October. Buying this hand-smocked outfit can help fight breast cancer. One of our newest items is this Think In Pink Hand-Smocked Tee ($72) from designer Oscar Newman. Available in sizes from double extra-small to large, this cotton Tee has basket-weave hand-smocking with hand-sewn iridescent sequins, hand-beaded ruffle cap sleeves and lettuce edging. It is also fully lined. Add a little humor to your dog’s walk and your cat’s carousing by equipping them with a Save the Hooters nylon dog collar ($20), which has the Komen logo on it. This collar is available for cats and dogs from extra-small to large. A matching 4-foot leash is $20 and a matching 6-foot leash is $25. We also have the similar Save A Rack collar ($20) in the same sizes and with the identical matching leash options. Outfit your girl or boy dog with a Paws for the Cause Doggy Tank ($30), which comes in seven colors including black, pink, pink camo, camo and others. Sizes range from extra small to 6 extra large for even the biggest doggy boys and girls. This shirt features a pair of paw prints with the words “For A Cause” in pink lettering. Note that not all colors are available in all sizes. Sometimes simple is elegant and our Breast Cancer Ribbon Doggy Tank ($30) is just that. Available in nine colors, this shirt has a pink Komen ribbon in the lower right corner signifying breast cancer awareness. Sizes range from extra small to 6XL. Note that not all colors are available in all sizes. NFL fans may have seen recent television commercials promoting licensed apparel for women. The Posh Puppy Boutique has similar dog-style jerseys for many professional and collegiate teams, all in pink. Take for example our New York Giants Dog Jersey ($30). Made with 100 percent pink satin and polyester mesh, it has woven trim on the neck and sleeves. The back has a screen printed logo, numbers and woven jock tag while the front has a screen printed team name. Available sizes range from extra small to large. Another example is our Ohio State Buckeyes Jersey ($30), which is made with the same fabrics and available in the same sizes. Visit our website or call us to locate one for your team. Keep your little princess or queen comfortable and stylish at night by dressing her in one of several breast cancer awareness pet pajamas from designer Toni Mari. For example, these pink and green Roses and Ribbons PJs ($50) have lots of smocking on them. Sizes range from extra-small to double extra-large. Click here to see all of our Breast Cancer Awareness pet products. Is your dog a superhero in your eyes and the eyes of your family? If so, dress them appropriately this Halloween. Here at the Posh Puppy Boutique we sell hundreds of Halloween costumes for dogs and cats. Included in our wide assortment are some for super heroes, just like your pet. This Classic Batman outfit ($20) includes a chest piece, cape, belt and headpiece. Sizes available are small and medium. Another take on the same character is the Batman Dark Knight costume ($25) based on the recent cinematic series. It has a slip-on body suit with faux arms and attached cape plus a headpiece with bat ears. Sizes available range from small to extra large. Batman never goes anywhere without his faithful companion Robin and we have the dog costume for him ($25). Sizes available are medium and extra large. What good is a super hero without a super villain? We also have The Joker costume ($25) in sizes from small to extra-large. The two-piece outfit includes the infamous zoot suit with faux arms and pinstriped pants plus the Joker wig. No hero is more “super” than Superman ($25) and we have your Clark Kent covered. The only size available now is extra large. Also check out our Supergirl costume ($25), which is a slip-on dress. Sizes range from small to extra large. Let them accompany a Prisoner ($25) dressed in classic black and white stripes. Sizes range from small to extra large. Is your pup more of a super thief, robbing treats from the table to feed to hungry dogs? If so, consider our Robin Hood costume ($25) in sizes from small to large. This machine-washable costume includes a cape and hat. Vets are also super heroes, especially to other dogs and cats. Our Dr. Barker outfit ($25) features a white lab coat and collar. Sizes range from small to extra large. Fight those nasty ghosts and goblins on Halloween with your dog dressed in our Ghostbusters outfit ($25). Sizes range from small to extra large. We also sell a full line of Star Wars and Wizard of Oz outfits, too.